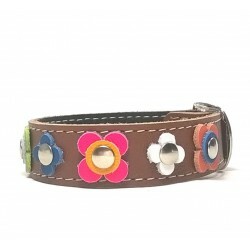 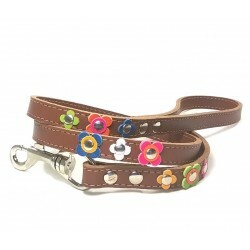 This unique, pretty and beautiful leather collar for small dogs is decorated with colored leather flowers. 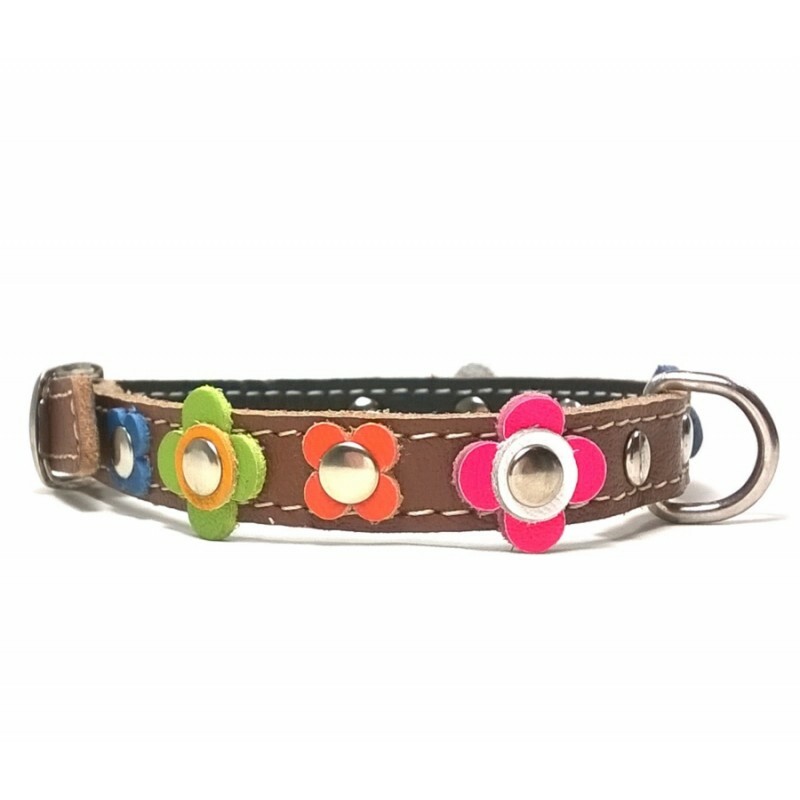 A design for a cheerful and happy dog character! 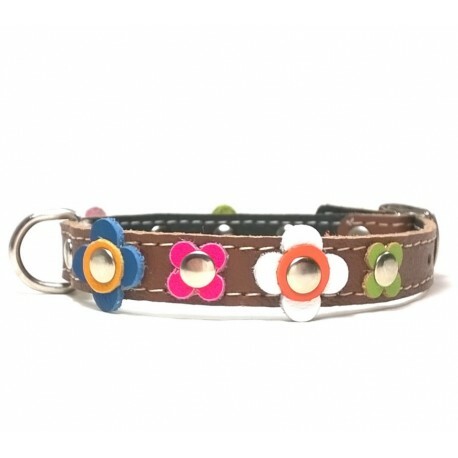 m. w. on 02/14/2018 Vrolijke, prachtige halsband, tot nu blijft het leer erg mooi, dus prima kwaliteit. Snelle levering.